Emerging Markets – The Canary in the Mine? The mighty USD continues climbing higher after it briefly touched the 200 day average some 10 days ago. The big resistance is at the 98 area. In a world we currently live in, we ask ourselves which currency would you have, the GBP, the Euro, the JPY or the USD? Currencies investing is a relative world, and we believe the USD outperformance is not so much about the case for a strong USD on a “stand alone” basis but more a relative game. 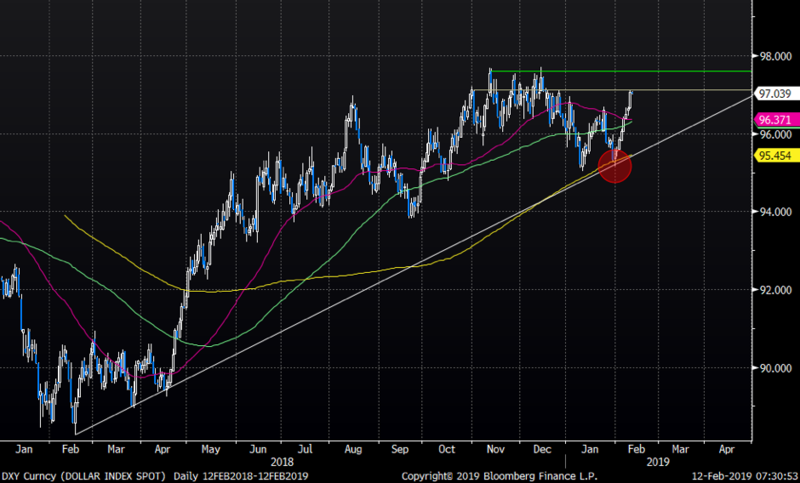 The USD strength has spilled over to the Emerging markets space. The biggest ETF, EEM US, has actually put in the biggest move down since this last rally started. 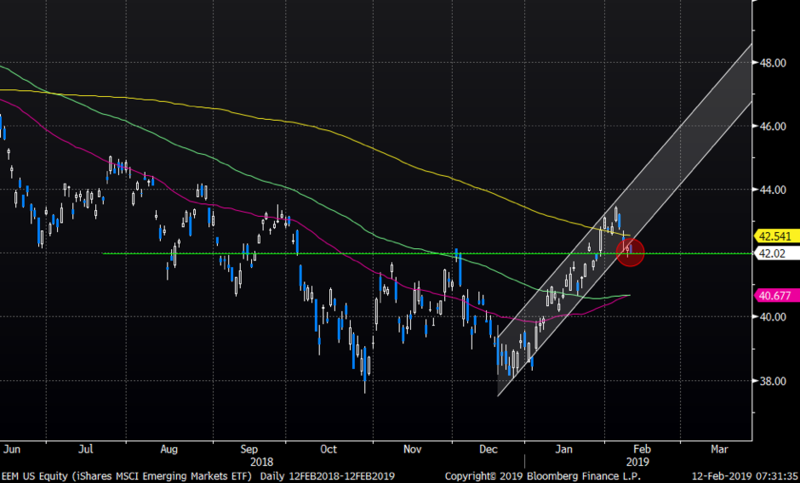 For now, this is just a retracement, but watch this space closely as many have been pushing the long Emerging markets trade lately. 42 is a huge level to watch. 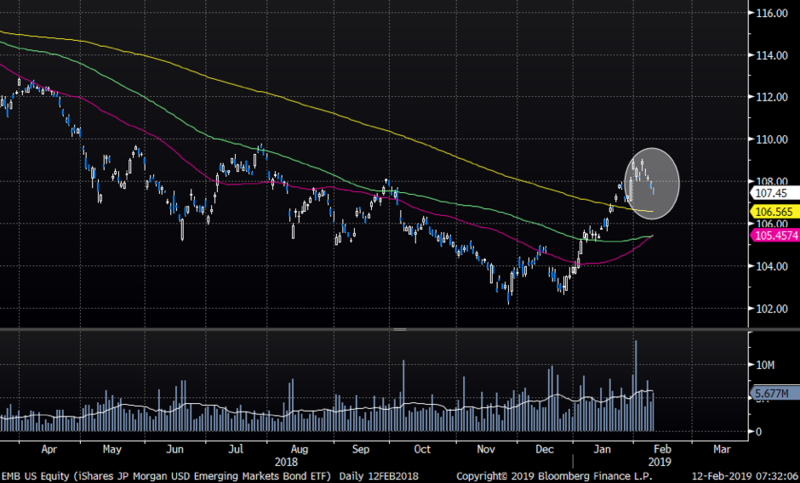 The EM Bond ETF, EMB US, has also seen a rather big drop over past session. Having attracted lot of interest recently this risks becoming another “late to the party trade” for many investors. YTD the IWM remains the clear winner between the SPY, EEM and the IWM, but note the recent under performance of the EEM US. We asked ourselves if Emerging Markets were getting too calm and fearless in late January (read here). The underperformance has since then started. 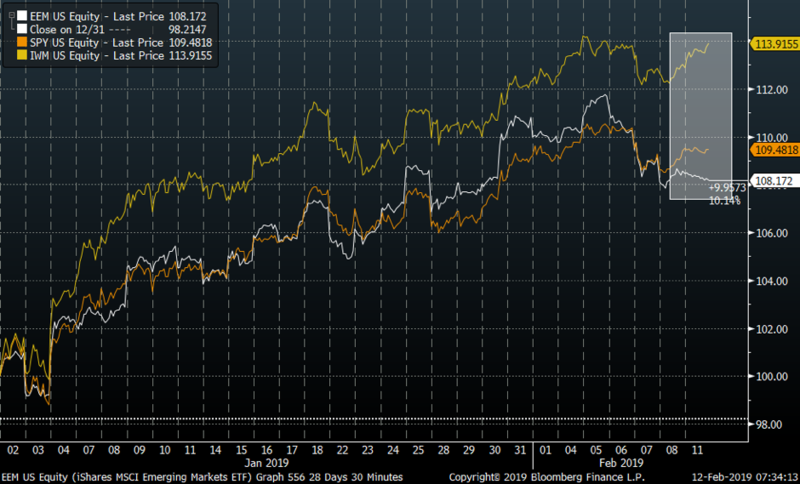 The question is if this is just a normal retracement or if the EM space once again becomes the canary to watch?